The General Services Administration has launched a three-part information exchange series and an interactive online community to discuss the agency’s upcoming Enterprise Infrastructure Solutions contract vehicle with interested vendors. Mary Davie, assistant commissioner of the integrated technology service office at GSA’s Federal Acquisition Service, wrote in a blog post published Monday that GSA received more than 1,500 government and industry comments on a draft EIS request for proposal that the agency published in February. “This is vital to ensure federal agency needs are met and industry partners have input early into the contract,” she stated. 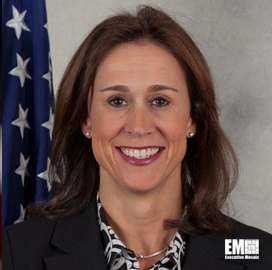 She noted the EIS program serves as the core element of the agency’s Network Services 2020 framework and is meant to replace the Networx procurement vehicle for federal information technology, infrastructure and telecommunication services. GSA also continues to collaborate with other agencies and companies through one-on-one meetings, advisory panels, working groups and government-industry forums, Davie added.